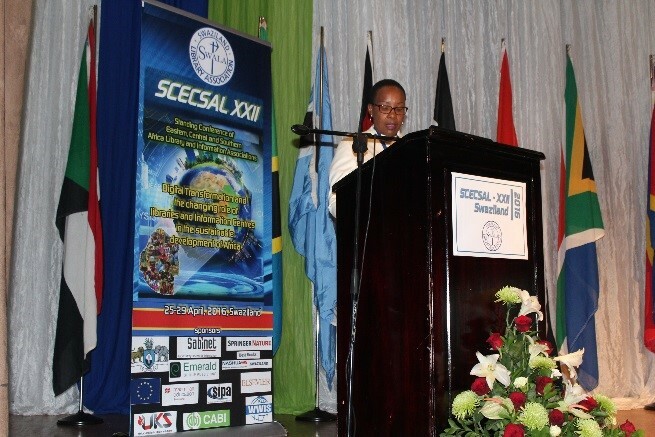 Dr Connie Bitso presented a plenary paper – Using WhatsApp to sustain functional school libraries in Khayelitsha at the 22nd Standing Conference of Eastern, Central and Southern African Library and Information Associations (SCECSAL XXII) at the Royal Swazi Sun, eZulwini, Swaziland, 25 -29 April 2016. This biennial conference attracts participants from various countries and it provides a wonderful opportunity for networking in Africa. This year the participants were from Botswana, Kenya, Lesotho, Malawi, Namibia, South Africa, Swaziland, Tanzania, Uganda, Zambia and Zimbabwe.